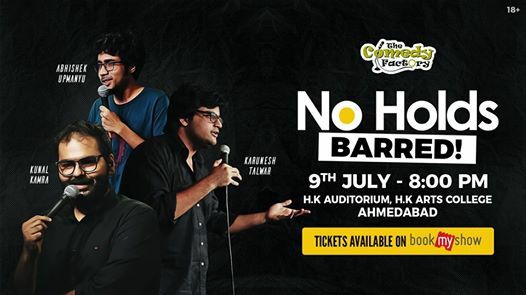 No Holds Barred is the one of its kind stand-up comedy show with the best of stand up comedians of the country. There will be no restrictions whatsoever with language, thoughts or jokes. It will make you think, cringe, laugh, applaud, introspect and a lot more with 2 hours of nonstop best in stand-up comedy featuring the most viral comedians in recent times Abhishek Upmanyu, Karunesh Talwar and Kunal Kamra.